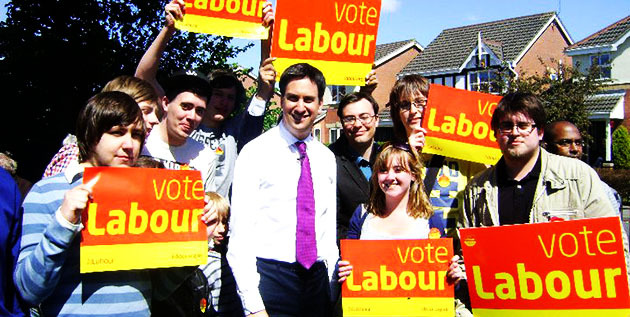 TheBlueGuerilla: Young Labour Deliver Blow To Leadership And Reject 'Anti-Union' Reform. Young Labour Deliver Blow To Leadership And Reject 'Anti-Union' Reform. YOUNG LABOUR (YL) have rejected the recent Collins Review into Labour Party structures in the wake of the Falkirk selection scandal and voted to keep the status quo regards Trade Union links with the Party, TBG can sensationally reveal. The huge blow to the Labour leadership that forced a statement from Labour Party HQ defending the reforms, came after a fiery debate between Young Labour members which ended in a ballot re-count after the initial victory was in favour of the Collins Review. In what's seen in Labour Party circles as a victory for the Left, delegates at the conference in Bradford cast their votes 109 to 107 and rejected the "anti-union Collins Review". The two Young Labour delegates, YL National Chairman Simon Darvill and Campaigns boss Tori Rigby, will cast their 2 votes for the left-wing movement against the proposed plans at Labour 'Special Conference' this weekend. As-well as opposing the Collins Review, Young Labour also voted in favour of renationalising the railways, abolishing right to buy and a 'super tax' on Britain’s wealthiest. Elsewhere at the YL conference in Bradford, Warrington Young Labour was named 'Best New Young Labour Group'.